Increased adoption of cashless transactions saw individuals and businesses move about a third of Kenya’s annual productive capacity on mobile money platforms between January and September this year. 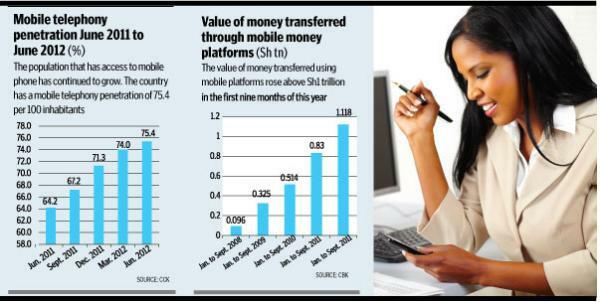 Partnerships between banks and mobile phone cash transfer platforms has increased the volume of cashless transactions. 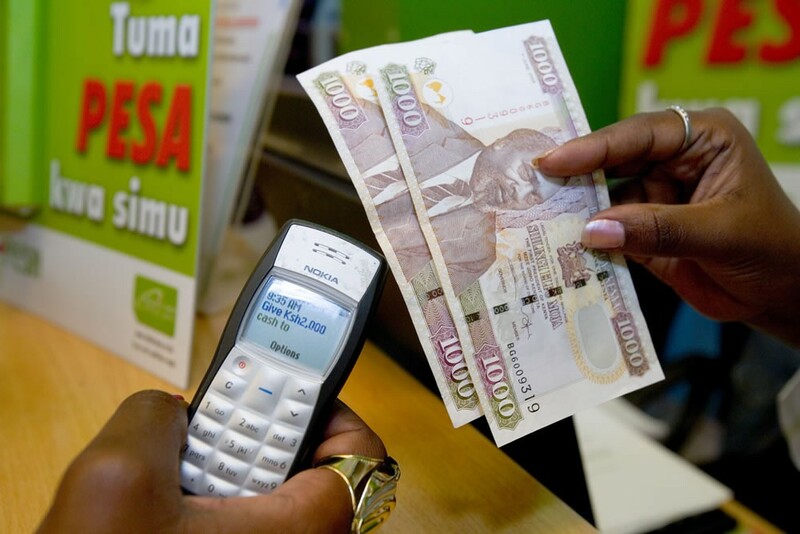 Data from the Central Bank of Kenya shows that Sh1.117 trillion (US$ 13bn) changed hands through mobile phone money transfers helped largely by increased interface between commercial banks and the cash remittance services of mobile telephone services firms. The value of all economic activities in Kenya, the Gross Domestic Product, was Sh3.7 trillion last year. “The combined push by banks to use mobile banking and enhanced customer service experience of money transfer services has contributed to this growth in mobile transfers,” said Safaricom Chief Executive Officer Bob Collymore. In January to December 2011, a total of Sh1.169 trillion was transferred according to data collected from six operators; Safaricom, Airtel, yu, Orange, Tangaza and Mobikash last year. CBK said the increase in mobile money transfers this year was fuelled by a high number of consumers moving money in their bank accounts using mobile phones. The money moved during the nine months was 35 per cent above the Sh829.62 billion that was transferred during a corresponding period last year. In 2010, Sh586.06 billion was moved in the first nine months of the year. 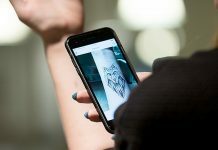 The six biggest banks and other lenders either have dedicated mobile banking platforms through which consumers can access their accounts through the mobile phones. Some lenders are still relying on mobile phone operators to provide the service. Safaricom’s M-Pesa has mobile banking arrangements with 25 banks which has contributed to greater reach of the service. Customers have also increased the use of bank platforms because they offer a wide array of services. 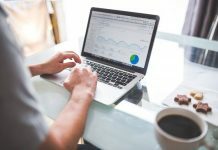 George Wainaina, the managing director of shared payments platform Kenswitch, said additional payments beyond person-to-person transfers such as utility bills, school fees, loan and salary settlements were being offered through the platforms, easing the cost of doing business especially at the small and medium enterprise level. Mr Wainaina said the ease of moving money to and from the banking sectors now allowed subscribers to make more transactions, explaining the steady growth in volumes. Telkom’s Kenya CEO Mickael Ghossein said the introduction of agency banking, which has increased access to cash in and cash out points, and the entry of other platforms such as Tangaza and Mobikash last year had also contributed to the increase. The platforms are also being used to transfer money from bank accounts to mobile operators’ platform for onward person-to-person transfers. “There is a consolidated push to increase the number of customers using the mobile money platforms as a channel for delivery of services to customers,” Kenya Bankers Association chief executive officer Habil Olaka said. KCB, Equity, Barclays, Co-operative, Standard Chartered, CfC Stanbic, NIC, Diamond Trust and National banks are among lenders allowing their customers to access accounts and perform other transactions through their mobile phones. During an investor briefing at the beginning of this month, Equity Bank CEO James Mwangi said 1.99 million customers were using its mobile banking services, compared to 417,194 at the beginning of last year. “The bank-led mobile platform is growing faster than the mobile led,” said Mr Mwangi. Although CBK did not break down the cash moved into market shares of operators, Safaricom transferred Sh80 billion in September alone according to disclosures for the half year ended September 30. That would give M-Pesa a market share of 61.21 per cent given that the Central Bank indicated Sh130.7 billion was moved overall in September. CBK data shows that the number of agents countrywide rose to 67,301 as at the end of September, compared to 46,234 a year earlier. Safaricom indicated that it increased the number of its agents by 6,000 to 45,540, giving it 67.67 per cent reach in terms of outlets. Mark Adoyo, the KCB group senior manager for money transfer services said that platforms which had been integrated with M-Pesa had increased the value of transactions. “Integrating with M-Pesa has increased transfers from bank accounts to customers who are finding it convenient to transfer money directly from their accounts to M-Pesa,” said Mr Adoyo. Without the integration, customers had to withdraw money from an ATM, deposit the funds in virtual accounts through agents and then transfer to recipients. Safaricom said it made Sh10.43 billion from its platform in the half year to September, a 32.2 per cent increase from last year’s Sh7.88 billion.